When someone sits down and pens a hit song they are hoping that they might somehow stumble upon a formula – that they will make hit after hit ad infinitum; at least some songwriters hope for this … for others it would represent a creative death. When you write a book and it sells well your publishers are going to tend to push you for more of the same – especially if you hit it big first time, because being out there and experimental entails doing the untried and the untested, and how likely is it that this is going to bring you the same success? Of course, there is a chance – you may be Radiohead or David Bowie or a Chuck Palahniuk; but it is just as likely to fail, and that means that publishers aren’t going to invest in you, nor the music makers. The same thing holds true for TV Series too. More of the same but different. A riff on the original formula. You want a long running show where you can grow the characters and tell the stories you want to tell about them. When it comes to ending that story though, how do you do it? Do you wrap it all up neatly in a bow and give every character an ending that befits the amount of effort your audience has put into watching the show, or do you leave it all hanging up in the air and walk away without resolving anything? It’s a hard call creatively. It’s probably a little bit simpler if you view it from a fiscal standpoint. More stories mean more money. I watched Girls last episode and it was a pretty low key affair – you knew it was coming, but it didn’t drive anyone off a cliff … it left it in a place where you could totally pick it up later. Maybe there will be a sequel series called Women – maybe not, because I am sure the actresses and actors want to move on from playing the same character the whole time. Sopranos in my opinion dropped the ball – the whole show from day one was about the consequences of a person’s actions, and here we go with absolutely no definitive ending, after what, six seasons? I was more than a little peeved. Buffy ended well. Deadwood was cut short. But some things can never end, and in perhaps some way we don’t want them to. Batman is forever, and so are all his cape-wearing friends. And the Star Wars Universe? That’s a franchise, so as one character or actor brings their role to a close, you can just roll straight on past their horizon and into someone else’s journey. Some people might turn away and say they can’t imagine Star Wars without Harrison Ford, but plenty can. Princess Leia is leaving during this film because the actress passed. When Luke takes the dirt-nap are we gonna say, I don’t want no more Star Wars? I don’t think so. I think some of this may derive from the fact that we consume media differently. It started with the advent of videos – where you could watch films over and over again, and didn’t have to hope for it being on TV after it had left the silver screen or the broadcast schedule. DVDs increased the lifespan of the media and started to feed the geek need for all the back-ground extras, and blu-rays expanded on even that. Switch to streaming and the new trend of binge-watching, and you have created a hungry maw attached to a demand feed baby that can never be sated. So is ending your show shooting yourself in the foot? Are you trading in a sure thing for a maybe? When you look at how hard it is to actually get a series off the ground the decision to stop making it might seem even more insane. There are a lot of negotiations before that Pilot ever even gets the green light, and then once the pilot airs there is no guarantee that it is going to picked up for a series, and once that first season has aired, if it didn’t find its feet fast there is little reason for it to get a second season. When you have a film franchise now, do you ever really set it up to have definitive ending? Does that do the story a disservice? Personally I sometimes like it when the story is self contained, when it has a structure of beginning middle and end, but I know some people hate that – they always want to know what happened next. If there’s a demand for it then it must be hard not to flog that dead horse one more time. But Donnie Darko never needed a sequel. I reserve judgment on Bladerunner’s sequel, but there was something to me that was very satisfying about where we left Deckard and Rachel. Not everything is going to work out as well as Star Wars. Is the thing in me that wants things to keep going the nerdy collector completist? Is the thing that wants a definitive end the artist and the writer? It often feels like a battle between commerce and art, but the lines there have been blurring more and more it seems. You aren’t just looking at a movie most of the time – you are looking at an entry point into a whole merchandising empire. Films – things that don’t have all this behind them – the indie or art-flick, they are an entirely different beast, but there’s still a lot of money there … just look at the Oscars. 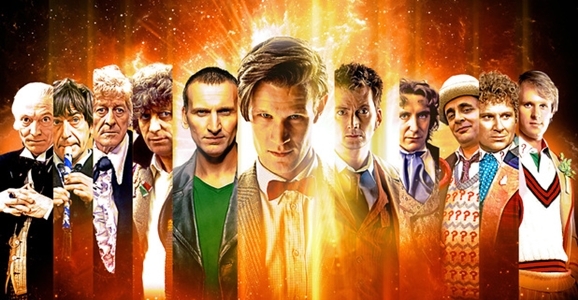 Not every series has a neat way of replacing the main character after a run as Doctor Who, and so we end up with a weird lack of tension sometimes, because we know the main characters can’t ever really die. Sometimes that tires a person out – when you have the fiftieth reboot and recap and origin story it wears thin. To be a marketing juggernaut is a dream of most though – so having the Disney/Lego/Marvel/Star Wars convoy moving ever onward isn’t going to bring about any change in the way it’s done for the moment. These behemoths probably make the smaller more personal movies possible. They are a feature of the landscape, and they probably to a large degree put the landscape there. So, for the moment? No end in sight. And sometimes that’s a bad thing and sometimes that’s a good thing.